Tunison Palms is a charming family friendly neighborhood situated in east Boca Raton. This subdivision is adjacent to historic Old Floresta and is nestled around a community park. Known as one of the first neighborhoods in Boca, Tunison Palms boasts classic architecture and ranch style single family homes. This intimate neighborhood is encompassed with beautiful Florida foliage, tall palm trees, quiet streets, and sidewalks throughout which are perfect for jogging, or bike riding. Tunison Palms is comprised of over 200 single family homes all with their own individual style and inspiration. Many of these homes sit on a quarter acre lots and have been completely renovated featuring split bedroom floor plans, upgraded flooring, volume ceilings, crown molding, walk-in closets, spacious backyards, colorful gardens and private swimming pools. Homes in Tunison Palms range in size from 1,400 square feet to over 3,000 square feet and price from the mid 300's to just over 1 million. The Tunison Palms community truly brings the Old Florida feel and ambiance of mature plantings, tucked away streets, and year round perfect weather, which really adds to the charm and character of this neighborhood. The residents of Tunison Palms enjoy this premier location that offers the convenience of everything the heart of Boca has to offer. The pristine sandy beaches of Boca Raton are only a mile and a half away, as well as many of the area's best parks such as, Spanish River Park, Gumbo Limbo Nature Center, Sugar Sand Park, and many more. 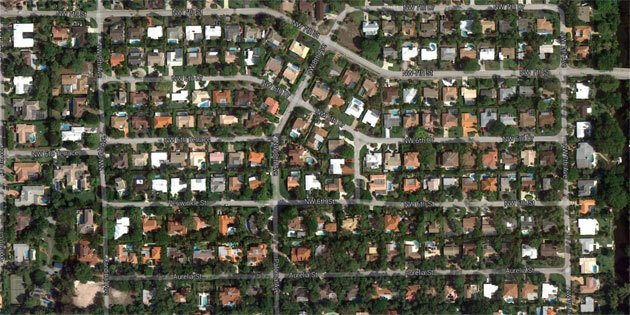 This community is a great place to raise kids and is zoned for A-rated schools including, Addison Mizner Elementary, Boca Raton Middle School and Boca Raton High School. Tunison Palms is nearby Mizner Park, Boca Town Center Mall, the Boca Raton Museum of Art, and some of the best shopping, dining, and entertainment in all of South Florida. I-95 is conveniently close providing residents with easy access to West Palm Beach and Ft. Lauderdale. Living in Tunison Palms offers homeowners with peaceful, tranquil surroundings that many seek after in community living, with the luxury of some of the greatest attractions and activities right outside their door.